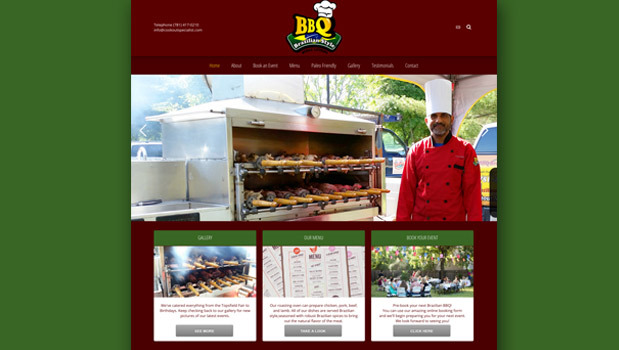 Brazilian BBQ is a mobile catering company specializing in traditional Brazilian BBQ grilling. Upon receiving the project we felt that Chef Pedro’s clientele should see the wide variety of dishes that he creates. Implementing a restaurant style UI system, we made the menu as easy to navigate as many modern restaurant websites. Keeping the branding consistent with the company website design, we utilized Brazilian embroidery pattern in the company slideshow as a background element in the business card. 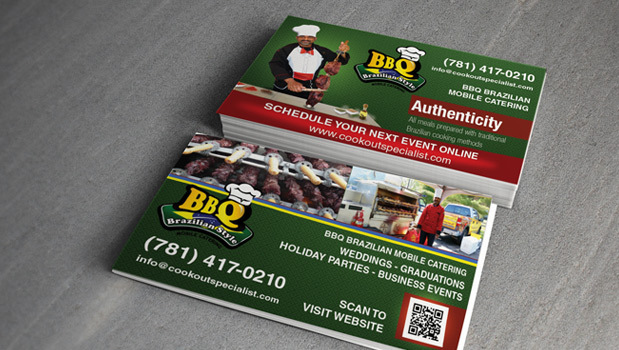 To give Chef Pedro’s customer’s easier access to the website a QR code has been added to the back of the card. 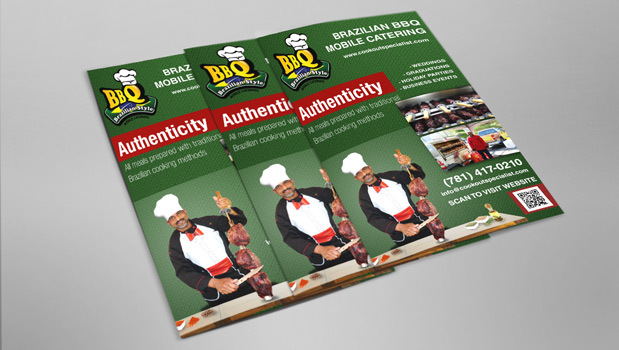 Brazilian BBQ was looking for more printed material to promote their company with the fresh website design. Our designer’s constructed an 8″x5″ flyer utilizing branding elements like the company branding pallete, Brazilian embriodery pattern, and imagery from the site.